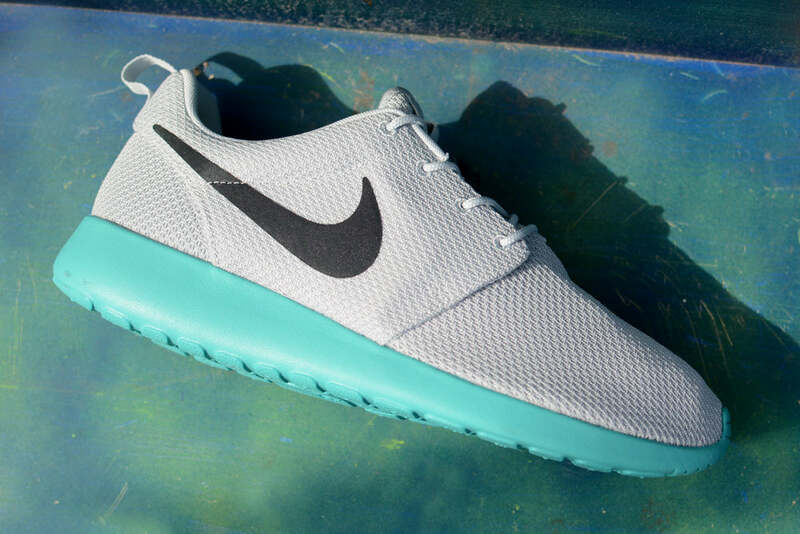 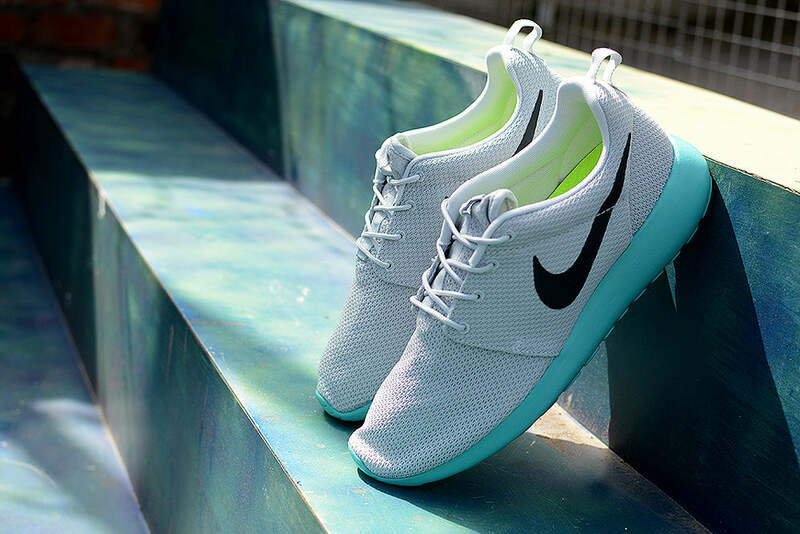 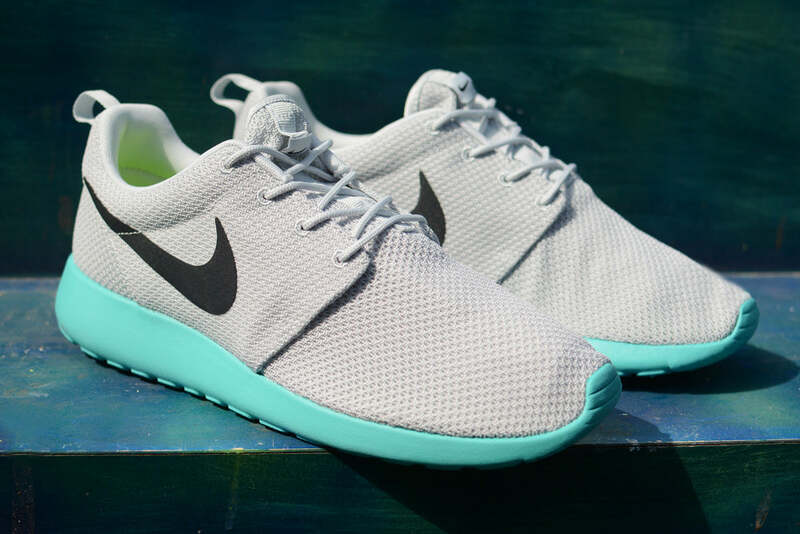 Nike release the iconic Roshe in an original colour way for Summer 2015. 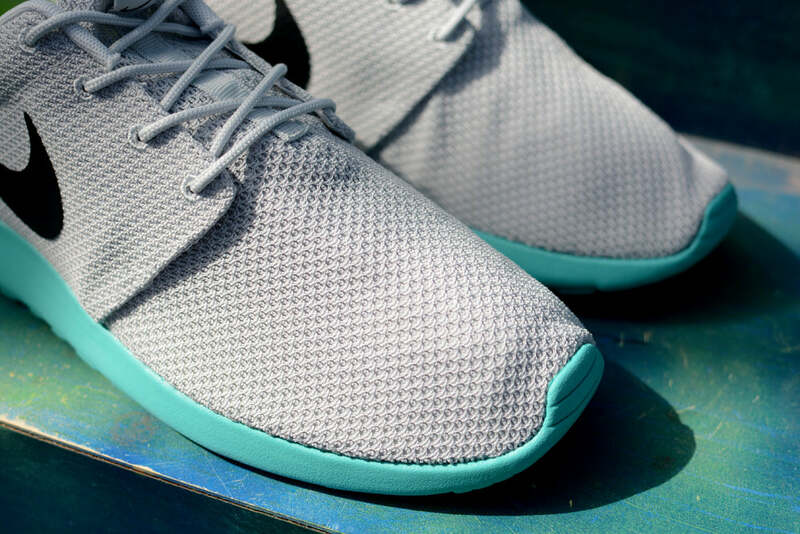 A breathable mesh upper in muted platinum grey sits upon a contrasting teal sole unit. 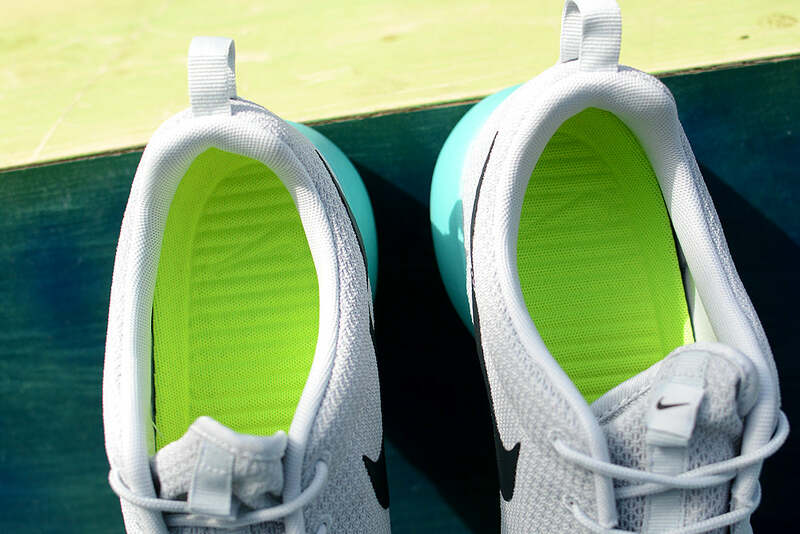 Additional colour pops appear in the form of fluorescent yellow footbeds.